Motorcycles are beautiful. Especially Italian ones. Agree? And the prospect of a bespoke, custom-made Italian motorcycle sounds even more interesting, no? Well, the FB Mondial HPS 300 is on sale in India now! The name would have sounded alien a few months ago, but the bike is on sale in the country now. Of course, think Italian motorcycles and most will rattle off names like Ducati, Aprilia and MV Agusta. But the European country that has given us some of the most evocative looking and fun to ride motorcycles is also home to several smaller motorcycle manufacturers with a lot of legacy. And FB Mondial is one of them. FB Mondial was in existence up to the 1960's, when it also had a big name in motorsport, including winning the world championship a few times. But like several other Italian manufacturers it ran into troubles and shut shop, only to be resurrected recently. 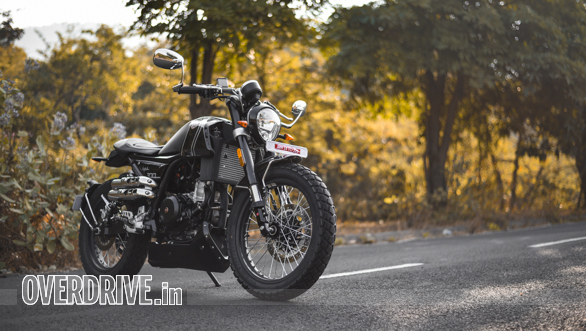 And the brand is here in India now, courtesy Motoroyale, the two-wheeler arm of Pune-based Kinetic group. FB Mondial makes a bunch of small capacity motorcycles including juicy-looking supermotos (drool!) 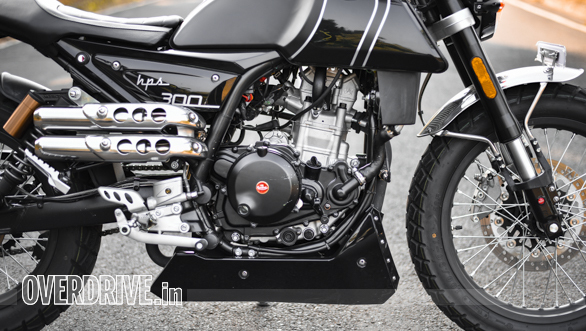 but for now Motoroyale has only launched its retro-styled HPS 300 in India. The FB Mondial HPS 300 is extremely tiny in size but has the stance and appeal of a middleweight motorcycle. And just look at the rear end - the short tail piece, seat contours and distinctive looking rear number place hanger look so good! At first glance you'd assume it's a small, retro-styled café racer going by the short height, crouched-forward riding position, handlebar-end mounted rear view mirrors and rearset footpegs. 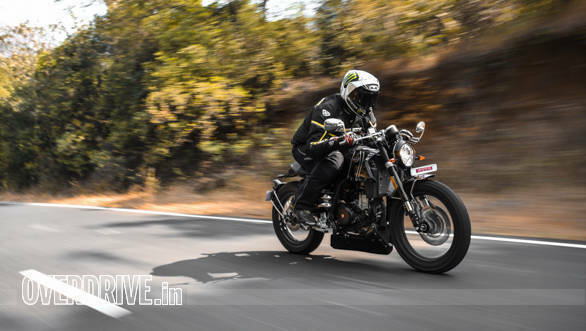 But the dual-sport tyres and side-mounted exhausts are more on the lines of scramblers. It's a mix of both and Mondial likes to call the bike a 'Hipster', which explains the HPS in the name. Its tiny dimensions might be a turn-off for some but the HPS 300 looks very appealing. In fact despite the diminutive size many who saw it on the road assumed it is a higher capacity motorcycle, such is the design. The short exhausts and short tail piece are the piece-de-resistance apart from the fuel tank, especially with its decals. 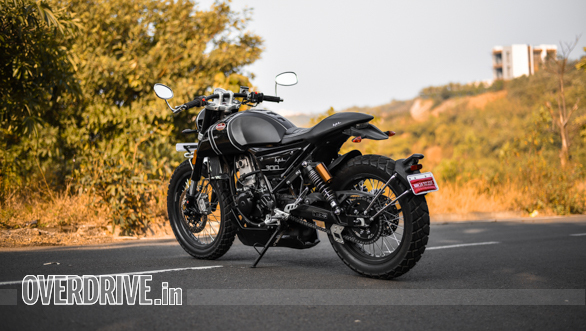 The belly-pan seems out of place but it hides a large resonator box for the end pipes, apart from which the bike looks attractive, and the dual-sport tyres add to its looks too. 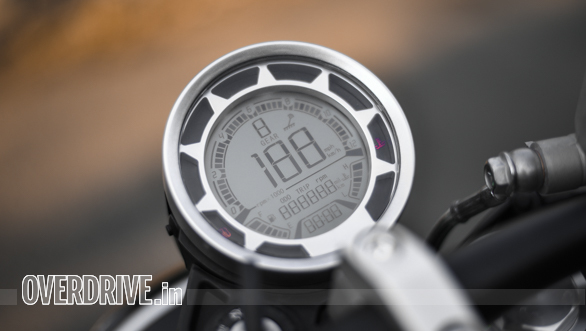 The single-pod instrument cluster looks like it came straight off the Ducati Scrambler but the display isn't very crisp. But full marks to FB Mondial for making the HPS 300 so stunning looking! 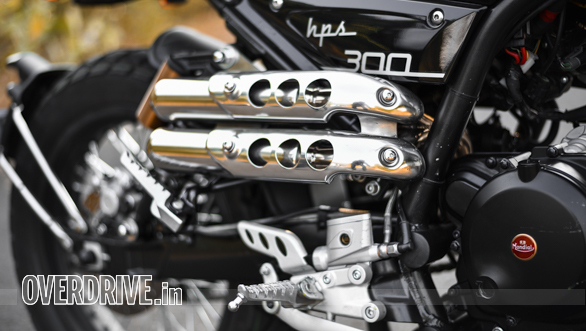 For a motorcycle that looks so good I'd expect it to have a firecracker of an engine too but the HPS 300 disappoints. The bike is powered by a 249cc, liquid-cooled single-cylinder engine that offers just 22.8PS and 22Nm. Yes. And to add to the problem most of it is concentrated at the top of the rev range. This affects acceleration and the HPS 300 managed a 0-100kmph time of 12.5 seconds in our VBOX test which is slow. To its credit the clutch is light and gear changes from the six-speed transmission are slick, but there's only so much a transmission can do in terms of putting the power down. In today's day and age quarter-litre motorcycles are nudging the 30PS mark and an output in that region would make the HPS 300 more fun. In-gear acceleration also suffers due to the tall gearing and peaky delivery, and as a result I found myself working the gearbox extensively in traffic. There isn't much shove at the top either and the HPS 300 runs out of steam rather quickly so you are left wanting. Also, a bit of vibration comes in from the footpegs and seat as revs go up  it isn't a lot, but better damping would have been more welcome. Fuel efficiency? The HPS 300 managed a reasonable 27.2kmpl in city and 34.6kmpl on the highway, but the fuel tank can only hold 9 litres, meaning quick trips to the gas station are inevitable. I would have also liked a more distinct exhaust note, but the HPS 300 sounds rather ordinary. Moving on, one thing Italian manufacturers seem to always get right is handling, and the HPS 300 impresses with its double downtube frame, 41mm upside down forks and gas-charged rear shock absorbers. It feels quick to change direction in traffic or tip into corners. The bike is shod with dual-sport rubber from a brand called CST, a brand unheard of India but grip levels are good. The tyres can handle more than what the engine offers and in its current form you'll probably never really push the HPS 300's tyres to their limit. The bike feels over-engineered in fact, as the chassis and suspension also hold more potential than what the engine outputs allow. 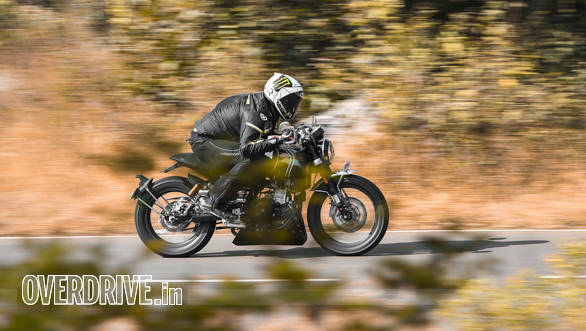 Braking is good too, be it in terms of bite, feel or stability and the bike felt confident even when hauled down from nearly 100kmph. Interestingly, ride quality is pretty good too. The suspension soaks up bumps and undulations well and ride is not compromised in the interest of handling. The riding position is better-suited to short rides only though. The crouched forward stance takes a toll on the wrists on longer rides and footpegs are a little too rearset as well. And the side-mounted exhausts look good but come in the way when placing your right foot on the footpeg which adds to discomfort after a while. The HPS 300 looks good for what effectively is a quarter-litre motorcycle. Fit-finish levels and quality of plastics could be better though. 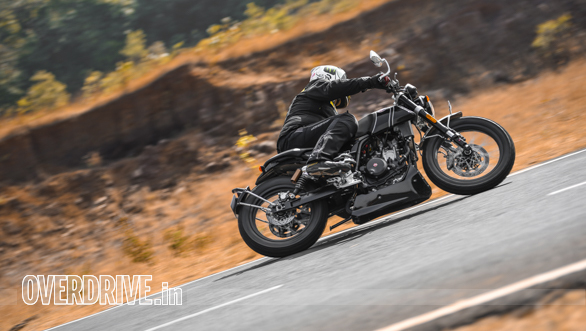 Lacklustre performance is a spanner in the works though and an additional 6-8PS would make the bike more fun to ride and also help explore its handling potential better. But the elephant in the room here is the Rs 3.37 lakh ex-showroom price tag which translates to over 4 lakh rupees on-road, which is exorbitant. For the money you can get a lot more motorcycle in India today. The Royal Enfield Continental GT 650 for instance costs lesser, while offering twice the power from its twin-cylinder engine. Agreed, the HPS 300 is an import and is only assembled here but as a package it simply does not justify its price tag. To its credit, it guarantees a lot of attention and comes with an air of exclusivity but that does not warrant its asking price. A more powerful engine and local production with a significantly lower price tag should make it far more convincing.